Who is the Real Posh Mom? In the last year, my family and I are applying for a job to help others. It has really been a learning process, and part of it includes an explanation of my faith. 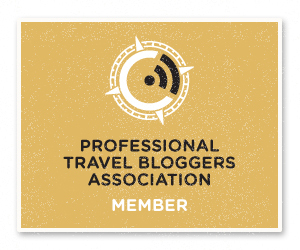 If you read my blog, you already know that I am NOT preachy, but this post is who I am to the core. This was hard to post, but I’d like to share we you the underlaying message in all my post of why I exist and what motivates me everyday. Growing up in the “Bible Belt,” I have heard many times that Jesus saves. 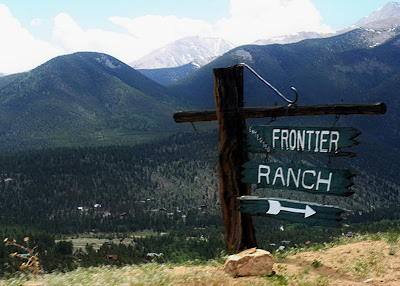 But it wasn’t until I was at Young Life’s Frontier Ranch that I listened. We are all saved by unmerited, undeserved grace. No one lives up to what God wants of her: not the most sinful, evil person in the world, and not the most moral, virtuous person in the world. I realize now what had been completely controlling my life up until the point I became a Christian: the desire for approval. All my life, I had tried desperately to be better than other people: smarter, more athletic, etc. Worst of all, morality just became one more category, the category that trumped them all. My adherence to moral principles was my last resort when all else failed. No matter how smart, athletic, I always had this: that I was a good person. I’m very prideful – pride in my righteousness and pride in my humility. But the Gospel shatters all self-justification. Jesus says: none of you can be your own savior. You are all sinners: the tax collectors, the prostitutes, the Pharisees, the pastors, the bishops, the kings, the businessmen. You’re all suffering, you’re all dying inside. Who of us, when we are being most honest with ourselves can truly say that she doesn’t need any help, that she’s got it all together? If you think that you do, let me just suggest to you that you might be as terrified as I was to admit to the opposite. And most of the time, we can convince ourselves that we’re basically doing ok. But we’ve all had glimpses. God always allows us to go through times when suddenly everything falls apart, and we realize how desperately in need we are. But the Gospel also offers the hope that is the only real hope: God loves even the worst of us. In all my self-justification, in all of my pride and contempt, what I was seeking for was meaning in my life. I had tried to earn that meaning through academic success, through athletics, through all kinds achievement, but it was never enough. And worse, the gospel told me that I was completely lost and morally bankrupt. Throughout the Bible, Jesus’ message is that God loves us not because we are good, but because He is good. Jesus came to save not the righteous, but sinners. He gives us the verdict that we are all longing to hear: that we are loved, that our lives are worth something, worth so much, in fact, that God gave up the treasure of His heart to save us. What we couldn’t earn despite our best efforts, God freely gives. Well said. Miss you at BSF! Thank you 🙂 Miss BSF and all the amazing ladies! Thank you for writing this! I love your transparency. It can be a struggle as a Christian to let down our guard and be “real” about who we are and what we are going through. I am glad to have a friend like you who encourages genuine connection. Thank you for writing this! I have missed you, my sweet friend. I hope all is well. Fantastic! I really appreciate your honesty and your willingness to let your guard down and share your heart. Thank you! I believe once you do, that is when His work is revealed through you!